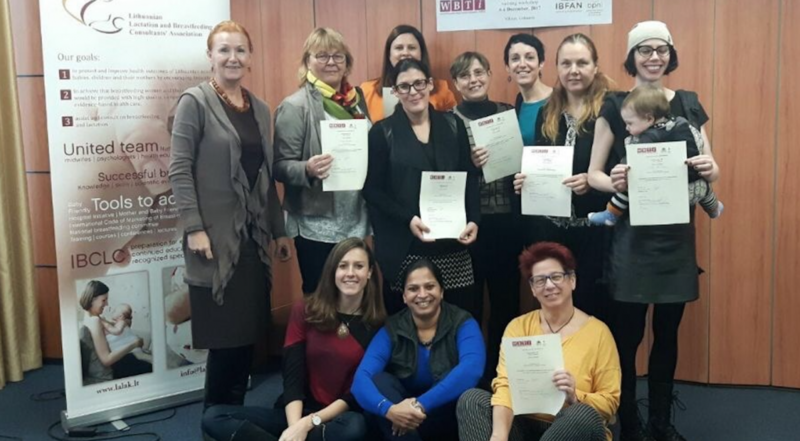 In the first week of December, breastfeeding advocates from 8 countries participated in the third round of trainings on the World Breastfeeding Trends Initiative and World Breastfeeding Costing Initiative, organised by BPNI/IBFAN Asia. The group met in Vilnius, Lithuania, and the countries represented were: Austra, Germany, Ireland, Italy, Lithuania, Malta, Netherlands and Slovenia. GIFA was invited to describe breastfeeding from a human rights perspective, as well as to explain the links between WBTi and the UN treaty bodies reporting mechanism. All participants actively contributed to the discussion and shared experiences from their different national backgrounds, in a very constructive and interactive way.